The Congress alleged that Prime Minister Modi had made the announcement of "off-the-shelf" purchase of the fighters in Paris after paying an "extra amount". NEW DELHI: Raising the heat on the Modi government over the Rafale jet deal, the Congress today accused it of promoting crony capitalism and its own "self interests" and ignoring national interests. Congress spokesperson Priyanka Chaturvedi asked why Prime Minister Narendra Modi and his government is not answering why Rs 41,205 crore more out of the public money was paid for the Rafale fighters and accused the prime minister of violating the 'defence procurement procedure'. The opposition party alleged that Reliance Defence was chosen as the local partner for offset contracts worth crores, as per the 2016 annual report of Dassault Aviation and a press statement of Reliance Defence. Reliance Defence and Aerospace, in a statement, said that it or any other Reliance group company has not received any contract from the Defence Ministry till date, relating to the 36 Rafale aircraft. "This is absolutely unfounded and incorrect," the company said. It also claimed that there is no violation of any rule or preferential treatment to Dassault Reliance Aviation Ltd (DRAL), the joint venture company formed to fulfil the offset contracts in the Rafale deal. The Congress leader, however, accused the prime minister of making the announcement of "off-the-shelf" purchase of 36 fighter jets in Paris at a much higher rate than that negotiated by the UPA government. "Rafale is a scam and the government is in scam. Indians feel deprived while the BJP ensured that crony capitalism thrived. Instead of protecting India's interest we have the Modi government protecting its self-interests," Chaturvedi said in a statement. 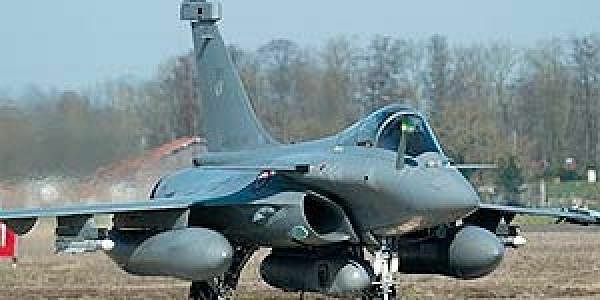 The prime minister announced off-the-shelf purchase of 36 Rafale aircraft in Paris on April 10, 2015 for euro 7.5 billion (Rs.1670.70 crore per aircraft which is Rs.60,145 crore for 36 aircraft," Chaturvedi said. The president of the ruling BJP, Amit Shah, on Friday rejected allegations of corruption in the Rafale deal, saying credence should be given to Defence Minister Nirmala Sitharaman's statement instead of others. Shah said Sitharaman has said the base price of Rafale fighters negotiated by the government is less than what was finalised by the previous UPA dispensation. But the Congress leader said when the international bid opened on December 12, 2012 for Rafale jets, the price negotiated by the UPA government was Rs.526.10 crore per aircraft for 126 aircraft. As per the UPA deal, the price of 36 aircraft would have been Rs.18,940 crore. Chaturvedi demanded an explanation on why an extra amount of Rs.41,205 crore of the public money is being paid for the jets. Experts describe the Rafale as a twin-engine "air-dominance" aircraft. In French, "Rafale" means a gust of wind. Rafale: Modi is just as corrupt as Manmohan Singh or Bandit Jabberlal Neckscrew. For example, His Government has created “Election Bonds” to foment political corruption without any accountability and with invisibility. His Government has made an “anti corruption law” that criminalizes the victim of extortion, the so call “bribe giver” which will ensure that those who are forced to pay sums of hard earned money to Government employees to receive timely services and entitlements from Government Departments and PSUs dare not even complain about it lest they be sent to jail for seven years on “own confession” His Government retrospectively amended the Foreign Currency Regulation Act to legitimize money laundering by Political Parties. His Government exempted lawyers from GST so that there may be no obstruction to Judicial corruption Under the circumstances, I shall trust men of proven integrity such as Yashwant Sinha and Arun Shourie and consider Modi's Rafale deal to be a major scam unless the Government comes clean on the details of the deal.